HomeNew CarsHyundai CarsHyundai EONHyundai EON FAQsHow many colours are available in Hyundai EON? Hyundai EON is available in 6 sparkling colours namely, Maharajah Red, Pristine Blue, Sleek Silver, Ember Grey, Coral White and Mushroom. 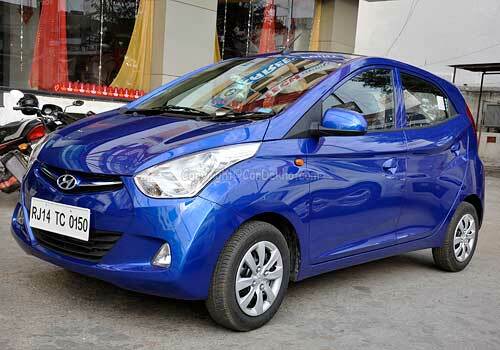 The Pristine Blue is the most popular colour for Hyundai EON.